The installation the fictional Arky discovers—which is based on a real piece of performance art that took place in 2010—is inexplicably powerful. Visitors to the Museum of Modern Art sit across a table from the performance artist Marina Abramović, for as short or long a period as they choose. Although some go in skeptical, almost all leave moved. And the participants are not the only ones to find themselves changed by this unusual experience: Arky finds himself drawn to the exhibit. He returns day after day to watch other people sit with Abramović—and as he does, he begins to understand what might be missing in his life and what he must do. Heather Rose was born in Australia in 1964. Her novels have been shortlisted or have won awards for literary fiction, crime fiction, and children’s fantasy. 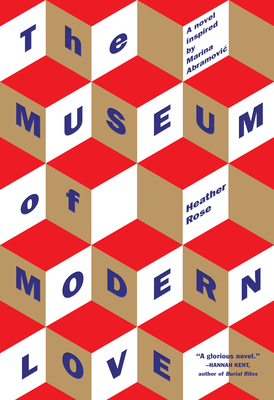 In 2017, The Museum of Modern Love, her seventh novel, won the Christina Stead Prize and the Stella Prize. It is her first novel for adults to be published in the United States. She lives by the sea on the island of Tasmania.